INDIANAPOLIS (October 8, 2015) — Klipsch, a leading global speaker and headphone manufacturer, is pleased to announce the addition of Steve Jain as Vice President and General Manager of Digital, Streaming and Portable Audio Solutions. Jain, who previously served as Vice President of Sales for SMS Audio, assumes the role following a career as a proven leader in the CE sales and marketing industry. Jain will lead the newly formed digital, streaming and portable solutions, which includes powered and portable speakers, headphones, and most importantly, the technology that will drive Klipsch to become a tech-driven, solutions based audio company. He is immediately focused on the channel management strategy, sales, product development and marketing of this business unit. “We are aligning Klipsch Group’s strategic vision and resources with the realities and speed of change of the industry to become a thought and technology leader in the audio space. Steve brings over 18 years of CE experience to our leadership team, as well as dedication and a fresh approach to secure Klipsch’s rightful place in the market for another 70 years,” said Paul Jacobs, President and CEO of Klipsch Group. As a vintage audio enthusiast with an affinity toward horn speakers and vacuum tube amplifiers, Jain has spent his entire career in the CE industry. He successfully led the sales and channel management initiatives for SMS Audio, CORE brands, Sound United, D & M Holdings, JVC Company America and Panasonic before signing on with Klipsch. 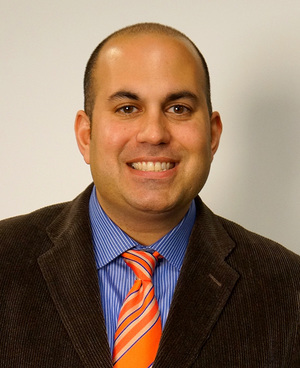 He was a 2013 Dealerscope 40 Under 40 award recipient, MERA Knowledgefest presenter and author of the column “Retail Revolution” in the 12 Volt News. “Klipsch is a strong global brand and its 70-year heritage of creating legendary, high performance audio products attracted me to the company. As technology advances and content is consumed in different formats, companies with technological prowess and audio heritage will emerge as leaders in the new digital, streaming and portable solutions categories. The industry has and will continue to change at a rapid pace and I am excited to lead a new division of Klipsch as we grow in new categories and channels, and embrace new technologies,” says Jain.